FREE Klean Kanteen with your minimum gift of $10/month sustaining membership or $120 one-time annual membership. 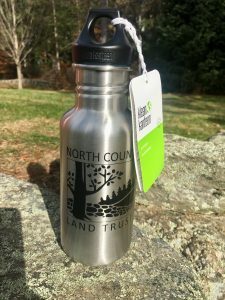 Email Lisa, Ladams@northcountylandtrust.org, to let us know if you’d like to receive your free gift! 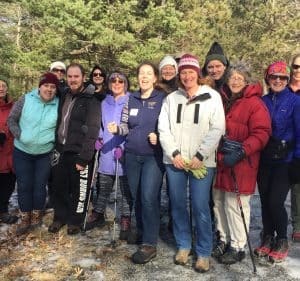 Your membership supports an organization that works diligently to protect and promote land conservation in 14 communities in North Central Massachusetts. We also host engaging programs that increase access to and awareness of nature. Annual membership contributions provide us with regular support we can rely on. Your membership will help to insure that we have the capacity to conserve the farms, forests, and landscapes that define our region. A sustaining membership is the best way to insure that NCLT can continue our important work of conserving land in our region. A sustaining gift allows you to pay in a convenient, ongoing way. You can authorize a monthly charge to your credit or debit card or a monthly withdrawal from your checking account in the amount you specify. Your sustaining membership will automatically renew each year unless you choose to cancel or change it. You can increase, decrease or stop your donation at any time. Sustaining members provide an ongoing base of financial support that we can rely on, so you can continue to rely on NCLT.To become a sustaining member, click the yellow “Donate” button which will take you to Paypal where you can specify your monthly amount, check the box for monthly donations and login to Paypal or setup a Paypal account so that you can login to renew, update billing information or cancel the recurring donations in the future. We accept gifts of cash, securities, land and tangible personal property. If you have any questions about making a donation, please contact us.